Using a Neti Pot is an asinine experience that hopefully yields a positive result, but it turns out there are better instruments for getting water up your nose than a plastic teapot. 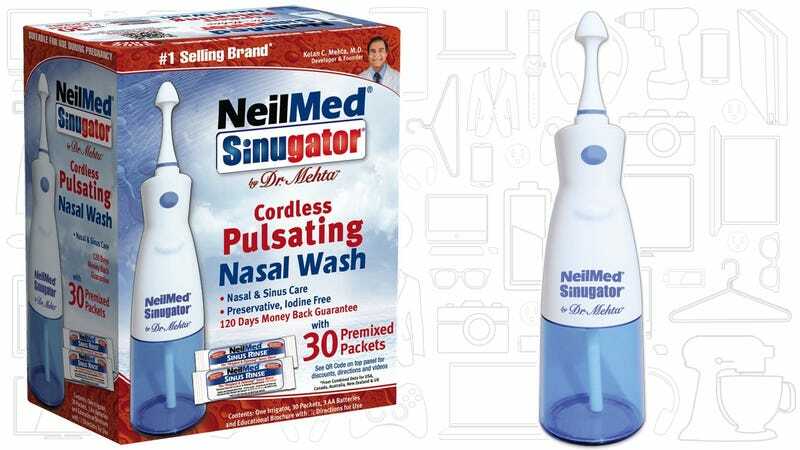 The NeilMed Sinugator uses a motor to squirt warm saline up your sinus passages with the press of a button, no ridiculous head tilt involved. It’s wireless, BPA-free, and uses these packets of sodium bicarbonate and sodium chloride (I’m linking to the “natural” ones). 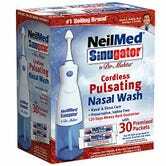 The Sinugator uses AA batteries, so grab some rechargeable Eneloops. Like a bidet, the Sinugator is a life upgrade you’ll wonder how you ever lived without.